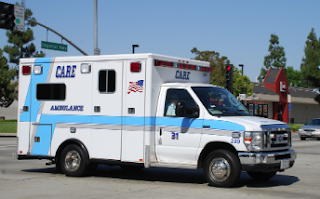 The final item on the agenda of the City Council meeting scheduled to begin at 5:45 on Tuesday, January 19, 2016 in City Council Chambers at City Hall is titled, "Ambulance Transportation For The City Of Costa Mesa" and the staff report for that item may be found HERE. 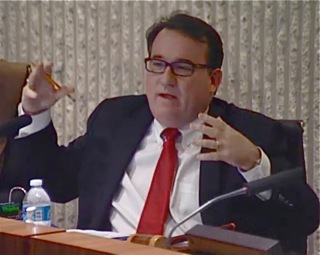 The staff report refers to the recently-completed Feasibility Study conducted by an outside consultant, A.P. Triton, LLC, the 51 page report of which may be found HERE. 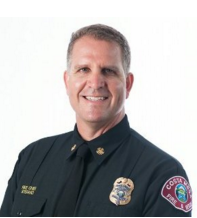 If you are at all interested in the future of Emergency Response Service in Costa Mesa, I highly encourage you to read that report, then read the staff report for the recommendations being made to the City Council by CEO Tom Hatch and Fire Chief Dan Stefano. In the study you will find this chart, which summarizes the costs and other advantages of the three options presented (in addition to the current status). However, before you get all excited, the staff has massaged those numbers, so each of those categories except for the current, Model #1, are significantly different. It appears they show the difference between #1 and each of the others, making the bottom line on each smaller. Still, significant cost recovery numbers are available with each of the other choices. * Fire department engages in a partnership with a private contractor and provides ALS ambulance transportation while the private contractor provides BLS transportation and back up support service for ALS transportation. However, Model #2 as presented in the staff report, in which the CMFD assumes ALL ambulance transport, using a private company only as back-up, seems to represent the greatest net annual cost recovery - $3,250,084 - nearly double that of Model #3. So, it's going to be interesting to hear the discussion on Tuesday to see the rationale behind choosing #3 instead. Adding to the fun will be several articles and commentaries published over the past couple days on this subject. Hannah Fry published an article in the Daily Pilot, HERE, discussing the entire issue. 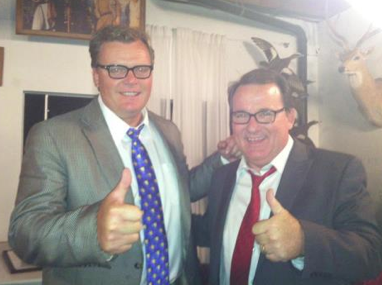 Former City Council candidate John Stephens - he lost to now-lame duck councilman Gary Monahan by only 155 votes three years ago - published an opinion supporting Option #2, HERE. 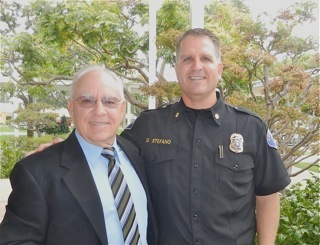 Today former Interim Fire Chief Tom Arnold - a Costa Mesa resident with more than three decades of Fire Service experience and the father of this entire redeployment model during his tour as interim chief - published a commentary HERE, which supports the Hatch/Stefano decision for Option #3. WHAT'S UP WITH STEVE AND JIM? "We are willing to work with Chief Stefano and give him the leverage to redeploy his fire department personnel in different ways that still maintains the efficiencies and staffing numbers we all agreed to but also keeps Fire Station 6 open at the same time." You see, this refers to "staffing numbers we all agreed to", which, if followed despite those changes mentioned in the commentary, seems to guarantee the need for a continued reliance on the private ambulance service - CARE Ambulance - which has served the city for eight years. And, not so coincidentally, it has been a significant campaign contributor to Righeimer's campaigns in the past. Am I suspicious about this? You betcha! Especially since I'm told by folks looking into this subject that the Righeimer/CARE Ambulance relationship may go much, much deeper than a few hundred dollars in campaign contributions. But that's for another time. Here's my opinion on this issue. The City Council has already bought off on a change in the way Emergency Medical Services are delivered to this community. The study they requested seems to give a solid foundation for making an informed decision. 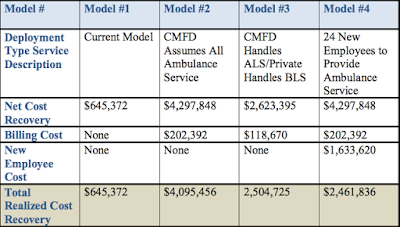 In fact, prior to that study, they were so committed to Chief Arnold's plan that they already authorized the purchase of six (6) Rescue Ambulances for a cost of over $1.6 million. Those pieces of equipment are now being placed in service, although in a reduced role until this issue gets fully resolved. Three (3) are currently being used. That's another good reason to move forward with one of the plans outlined in the report. Currently the Costa Mesa Fire Department is operating with eleven (11) vacancies, due in great part to the uncertainty of the future of Fire Station #6. If station #6 is to remain open - and there seems to be plenty of reasons to do so - those positions must be filled ASAP. However, that changes the financial issues, since we will not receive compensation anticipated for the sale of that site - which was donated to us for the fire station by the Sakioka family many years ago. 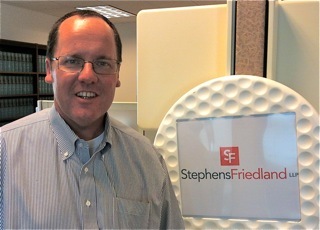 My preference coincides with that expressed by Stephens in his commentary - go with option #2 - the full Monty. 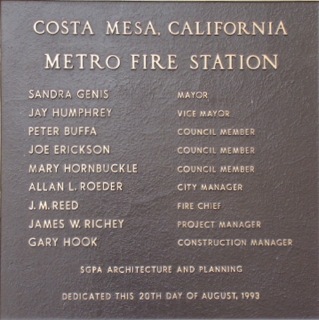 Have members of the Costa Mesa Fire Department do ALL transport and receive ALL the revenue from that activity, depending on a private firm only for emergency back-up. That one makes the most sense to me and results in a more than $3 million annual revenue stream we presently do not have. However, if Hatch, Stefano and Arnold - for whatever reasons, political or otherwise - are willing to take an interim step and recommend the adoption of Option #3 as the "next step" in EMS service to the community, I can support that choice. It still results in a significant revenue stream to the city and can be made to work almost immediately. If, though, Righeimer attempts to leverage his support for maintaining Station #6 with the previously agreed-to staffing levels (which anticipated closing #6) - which would require greater use of CARE Ambulance - it will be clear to all watching that his concern is not for the residents of this city and their emergency medical needs, but is only for the well-being of his campaign contributors. And, quite honestly, it won't surprise me one bit if that's the approach he takes Tuesday night. I really want to hear his rationale on this issue at that meeting. I fully expect him to go into one of his apoplectic rants, interrupting speakers and destroying their train of thought. You know - same old Righeimer. And, it's unclear to me whether they can get into a discussion about the future of Station #6 Tuesday, since the staff report specifically refers ONLY to the Ambulance service as posted. It's very possible that the Station #6 discussion will have to wait for another day, when it has been properly posted and agendized. 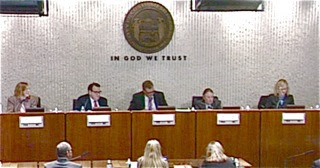 More about the rest of the council meeting on another post later. Will they staff 6 stations with a five station staff allotment? Or will they use this as an excuse to continue the contract with CARE? If the City Council votes for this public/private partnership, wouldn't the City have to open up this new form of service to all ambulance companies and go through a formal selection process? Muffin, sadly, I believe we all know the answer to that question. As was stated, the roots of that relationship go much, much deeper than campaign contributions. Rig isn't going to give up CARE. No way, no how.